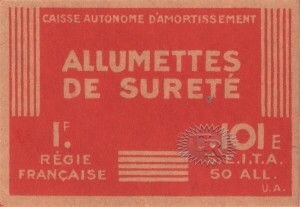 En 1942-1944, l’inscription sur la boîte «CAISSE AUTONOME D’AMORTISSEMENT / RÉGIE FRANÇAISE / S.E.I.T.A.”. 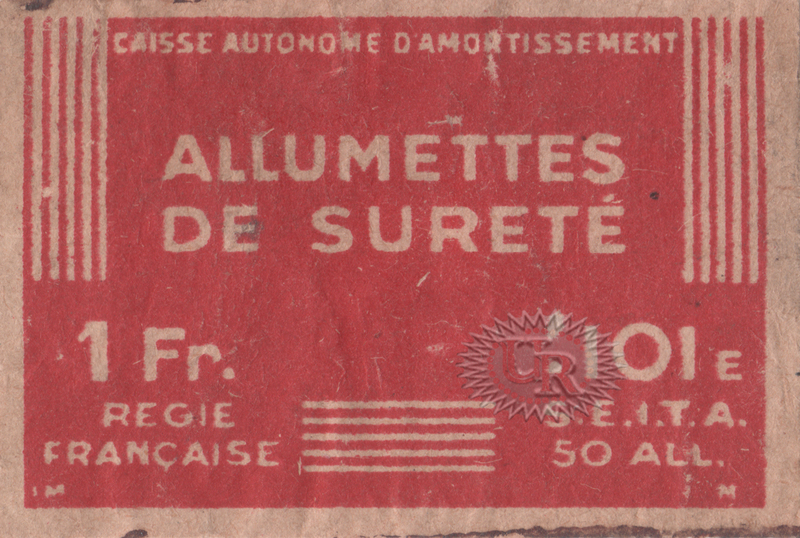 Prix de la boîte d’allumettes (101Е) dans les années 1942-1944 était de 1F (1 franc). 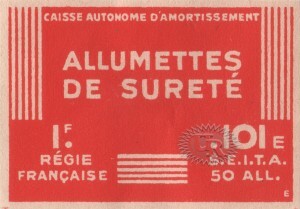 Remplissage une boîte – 50 allumettes de sûreté, texte droit. 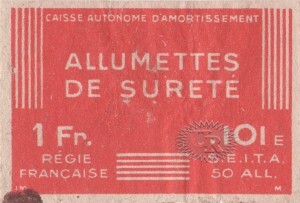 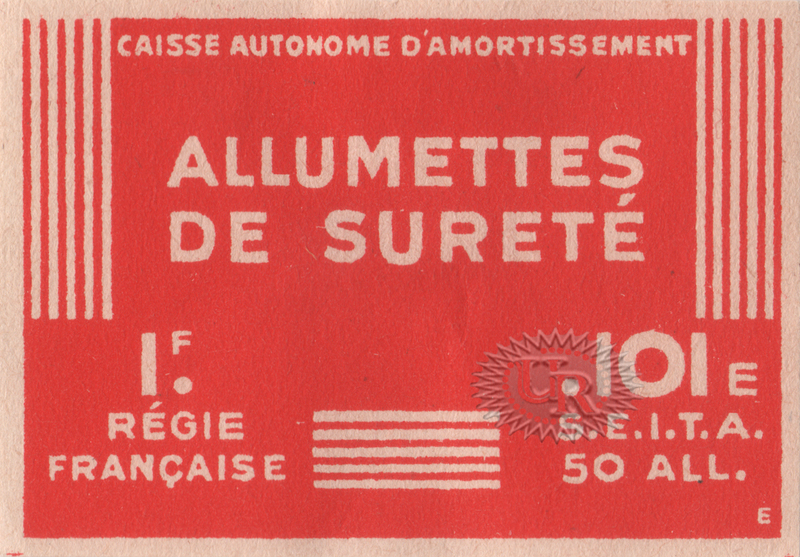 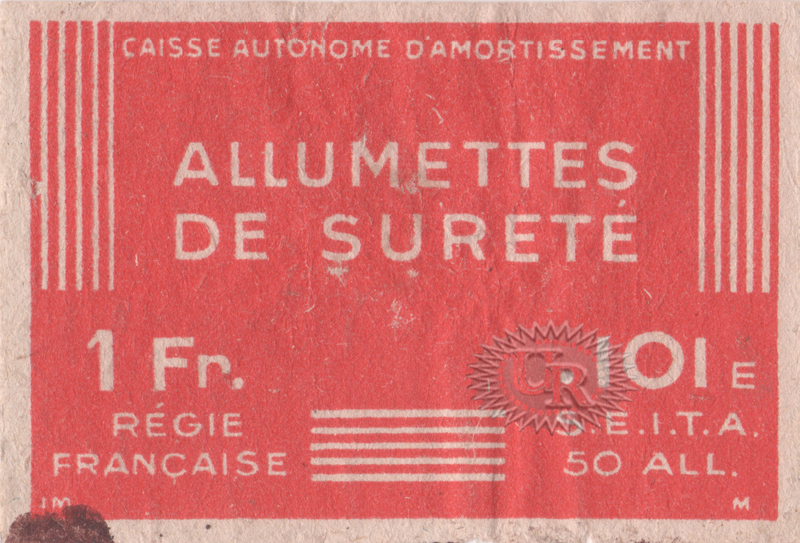 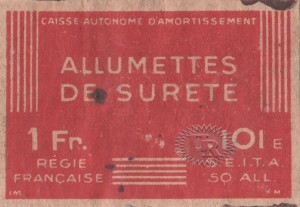 In 1942-1944 the inscription on the box «CAISSE AUTONOME D’AMORTISSEMENT / RÉGIE FRANÇAISE / S.E.I.T.A.”( AUTONOMOUS BOARD OF AMORTIZATION / FRENCH STATE MONOPOLY / S.E.I.T.A.) 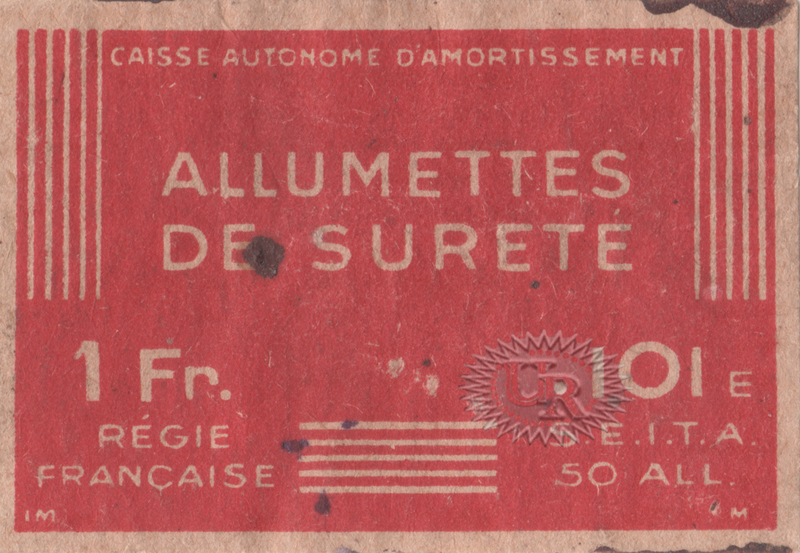 Price of the matchbox (box 101Е) in the years 1942-1944 was 1F (1 franc). 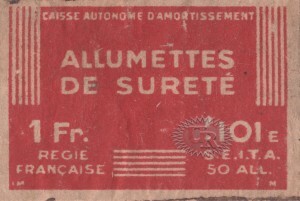 Filling of the box 50 safety matches, text in a straight line.